Under a new pilot program beginning Thursday, the D.C. Department of Transportation will implement designated pick-up and drop-off zones and ban parking on the stretch of Connecticut Avenue from Rhode Island Avenue to Dupont Circle. D.C. officials are changing weekend parking regulations near Dupont Circle in an attempt to improve late-night pedestrian safety in the bustling nightlife area. Under the pilot program, which begins Thursday, the D.C. Department of Transportation will implement designated pick-up and drop-off zones and ban parking on the stretch of Connecticut Avenue from Rhode Island Avenue to Dupont Circle, an area known for its bars and nightclubs. Officials and business managers said the gridlock in the area on weekend nights poses a safety risk for both pedestrians and passing cars. During the yearlong pilot program, parking will be prohibited after 10 p.m. on Thursdays, Fridays and Saturdays, leaving only a pick-up and drop-off zone where bar patrons can hail a taxi or call a ride-sharing service without charging into the street, she said. Mark Silverstein, a Dupont Circle Advisory Neighborhood commissioner, said streets became more congested when the Metro reduced its weekday and Sunday hours in June and more people began using ride-sharing services like Uber. Faye Dastgheib, a senior transportation policy analyst at DDOT, said late-night revelers have often been entering ride-sharing vehicles like Uber from the middle of the street, spawning concerns about pedestrian safety. 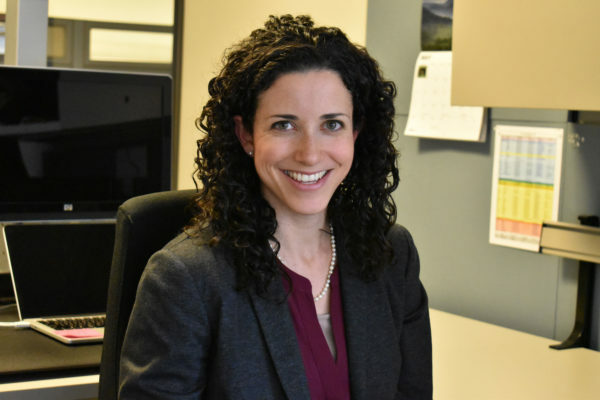 “DDOT’s intent is to address traffic congestion and pedestrian safety concerns generated by the growing late-night activity along Connecticut Avenue,” she said in an email. During the next year, DDOT will study the impact of the program and acquire feedback from locals, she said. Dastgheib said most of the 100 restaurants and nightlife venues in the Golden Triangle, the area spanning from the White House to Dupont Circle, are contained in a three-block area that sees more than 1,000 people passing through each hour around midnight. 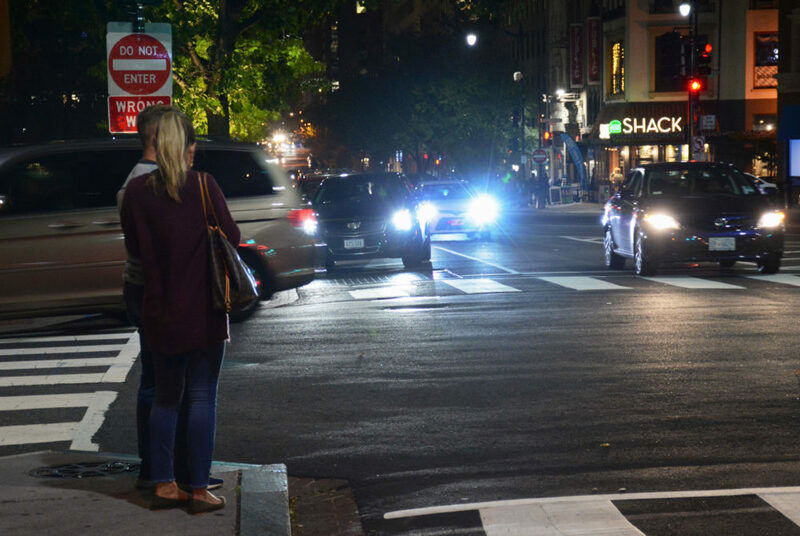 Last year, the Golden Triangle Business Improvement District raised concerns with DDOT about pedestrian safety and traffic as nightlife grows in the Dupont Circle area, Dastgheib said. A man was killed in a hit-and-run on New Hampshire Avenue near the circle in August 2016, The Washington Post reported. DuPont Circle also ranked as an area in the city with some of the highest numbers of pedestrian accidents this year, The Post reported. DDOT will evaluate the plan after one year, but nighttime traffic has already sparked a discussion at the D.C. Council. The council introduced a plan earlier this month that would create an Office of the Nighttime Commission to monitor anything that affects the economy and culture of nighttime establishments across the District, like consumer complaints and obtaining permits and licenses needed to operate. Silverstein said the bill would coordinate communication between the Alcoholic Beverage Regulation Administration, the Metropolitan Police Department and DDOT, to help coordinate various offices to address traffic issues. Steve Valm, the manager of The Big Hunt Bar on Connecticut Avenue, said while a parking plan is necessary, he is unsure if this program is the best option to address parking and safety problems. He said the combination of reckless drivers and distracted or irresponsible pedestrians leaves him concerned about traffic safety near The Big Hunt Bar. Gina Cicotello, who works near Dupont Circle, said pedestrians can often be mindless to oncoming traffic. Removing the parking will increase pedestrian safety and decrease congestion because cars will not tie up traffic by stopping in the middle of the street, she said. At Cafe Citrón – a late-night Latin lounge – employee Jackie Rocha said her main concern is that the plan is properly executed and clearly communicated to avoid confusion for people visiting the area. Customers at Cafe Citrón and other businesses on Connecticut Avenue have been forced to navigate three to four different parking signs installed by the D.C government, she said.